IPR's Mark Simmet talks with Hinterland festival organizer Sam Summers. The Hinterland music festival in St. Charles is announcing its 2019 line up today, including a mix of Grammy nominated and Midwest-based acts. The festival will also expand to three days this summer. 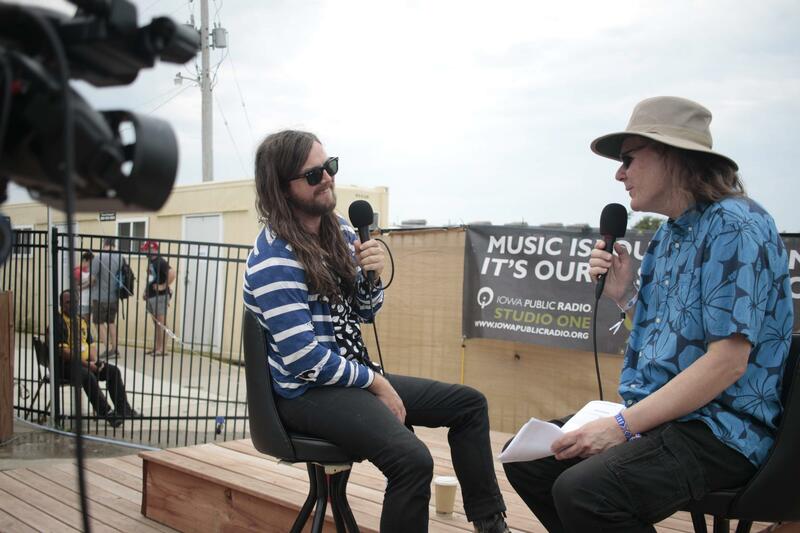 Iowa Public Radio's Mark Simmet interviews J Roddy Walston at HInterland 2018. Friday's headliners include Hozier and Kacey Musgraves. St. Paul and the Broken Bones will play the festival stage on Saturday, and on Sunday, Brandi Carlile, Dawes and Maggie Rogers are all slated for sets. Summers says he's excited to bring back Brandi Carlile, and to have Kacey Musgraves join the festival for the first time. Carlile and Musgraves are close friends, and Summers says he was trying to book artists who knew each other. "After we had Sturgill last year with Tyler Childers perform together and kind of riff off each other, I'm looking for those opportunitiens to put certain people in the festival who will do stuff together,' says Summers. Iowa artists The Maytags, Adam Bruce, Elizabeth Moen, and the band Keuning, lead by David Keunig, are also all on the bill for this year. Find out more about the rest of the line up at Hinterland's website. Feeling chilly and wondering how to fill your time indoors today? We've got you covered. Check out our latest Spotify playlist featuring curated picks from our staff to get you through these sub-zero days. What are your favorite songs about the cold? Tweet us @iowapublicradio.